to the National Park to see them stood in the landscape of tors and streams. visitors by 10%. Ponies have a role to play in achieving this target for Dartmoor. and fauna encouraged by how ponies graze; the tradition of hill-farming. 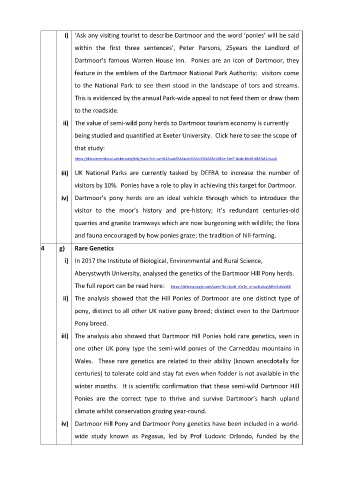 Aberystwyth University, analysed the genetics of the Dartmoor Hill Pony herds. climate whilst conservation grazing year-round.